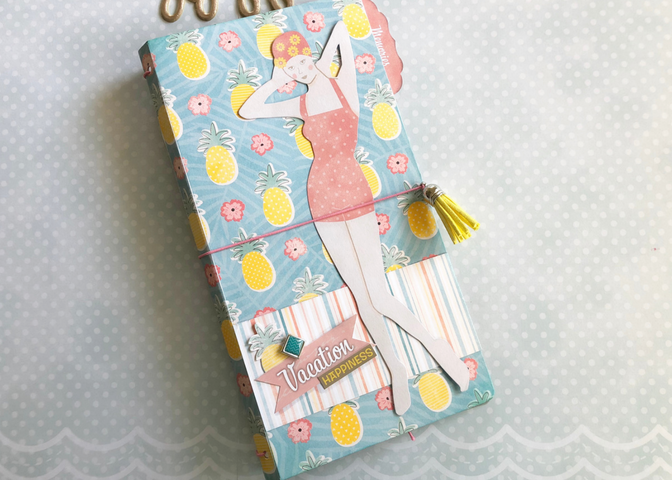 Hello Fotobella Friends - Brandy Burke here, excited to share with you a travelers journal I created using the Fotobella Bobunny Escape to Paradise I Want it All bundle. This bundle is packed with fun double sided 12X12 papers, embellishments and stickers to capture the memories of your travels. 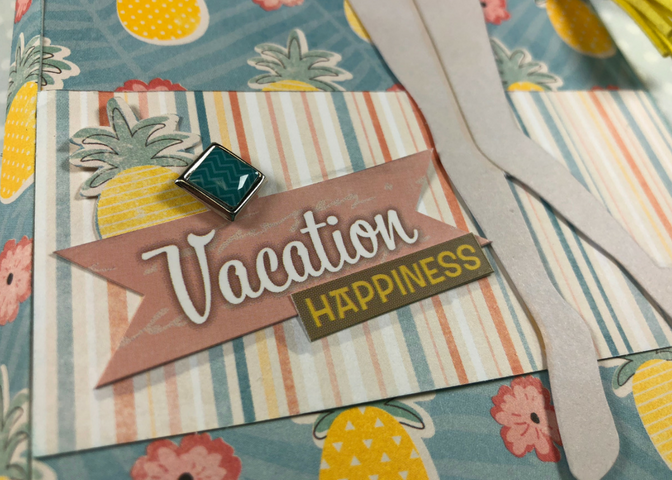 I created a chip board travelers notebook using an online tutorial and dies and then had a blast with decorating it to house a record of our travels to Washington to see the ocean and visit our daughter using the 12X12 double sided paper, stickers, brads and scor tape.